During his 25-year career in travel, Daniel E. Craig has worked with hotels, destinations and travel and technology companies. Under his leadership as General Manager, Opus Hotel in Vancouver was named one of the World’s Best 100 Hotels by Condé Nast Traveler and earned a reputation for service excellence and cutting-edge marketing. Daniel left Opus to focus on his writing career and has since published three mystery novels set in hotels. 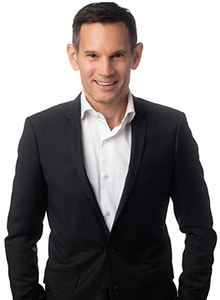 In 2008 he founded Reknown, a global consultancy that provides hotels and travel companies with strategic planning, training and best practices in marketing, online reputation management and customer experience. In 2018, having collaborated with ReviewPro for over six years as host and producer of the company’s webinar series, Daniel joined ReviewPro as Vice President of Marketing. A leading expert in online reputation management, Daniel’s articles, blog, guides, presentations and webinars reach thousands of travel industry professionals worldwide.